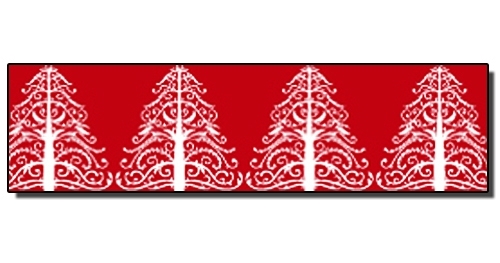 Classy and Elegant is the look you will create with our Fancy Tree Tape. It is Christmas Red with White Trees. Perfect for that special gift or card.